RUSH Marine – Shore Stabilization of Area 1, MCSF Blount Island – Jacksonville, FL – RUSH, Inc. 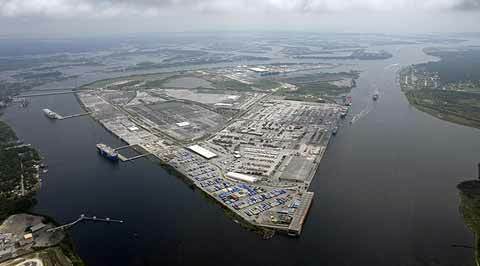 RUSH Marine, LLC was awarded the Shoreline Stabilization of Area 1, MCSF Blount Island project in Jacksonville, FL. This project includes clearing and grubbing, excavation, security fencing and relocation, steel sheet pile bulkhead wall with tie-back system, geotextile fabric, crushed aggregate road, backfill and compaction, sodding, planting and establishment of trees and other work incidental to project completion. RUSH Marine LLC shall provide on-site coordination for site work, landscaping, fencing, and electrical subcontractors and As-Built documentation. This project is scheduled to be completed in April 2019.